New providers and services at OrthoIllinois!!! It is a very exciting time at OrthoIllinois with the addition of two new specialties and multiple new physicians! On August 1, 2016, we will welcome Dr. Todd Alexander and Dr. Richard Broderick, both experienced neurosurgeons that will be merging their individual practices into OrthoIllinois and launching our expansion beyond musculoskeletal services. Neurosurgery is a specialty dedicated to the treatment of disorders of the brain (e.g. tumors, aneurysm), spine, and peripheral nerves. Our new Neurosurgery division will be headquartered at the Riverside location and will collaborate with Dr. Braaksma, making our spine program even more robust. 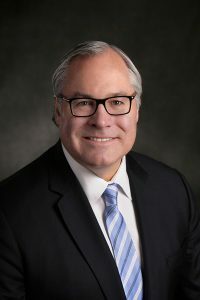 Dr. Alexander is a Rockford native and Guilford graduate that received his medical training from highly esteemed medical centers before returning to Rockford to establish his private practice. He has served local and regional patients since 1996. Dr. Alexander’s mid-level assistants, Cindy Bennett, A.P.N and Tonya Busch, A.P.N will also be joining OrthoIllinois on August 1st. Dr. Broderick has been in private surgical practice for over 15 years serving the Arlington Heights and Northwest Chicago Suburb areas. Dr. Broderick will hold office hours in both Rockford and Huntley offices as well as retain his call responsibilities at Northwest Community Hospital in Arlington Heights in addition to Rockford hospitals. Dr. Broderick will be assisted at OrthoIllinois by his physician assistant, Silvia Young, PA-C.